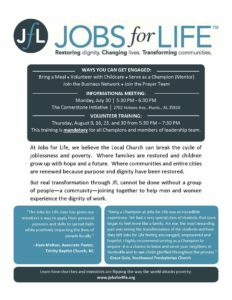 Jobs for Life (JfL) offers a discipleship platform enabling churches and organizations to develop gospel-centered relationships and teach people God’s design for work, provide a supportive community, and help men and women find and maintain employment. 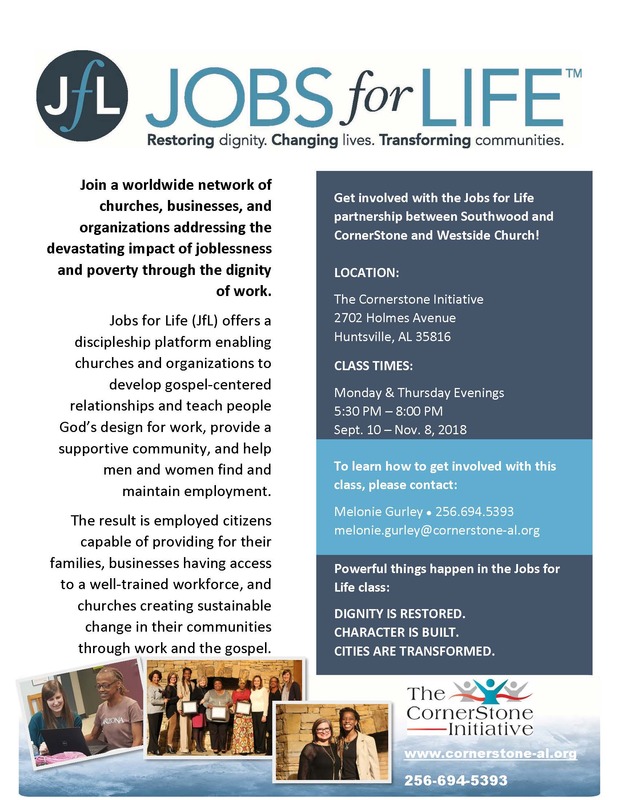 The result is employed citizens capable of providing for their families, businesses having access to a well-trained workforce, and churches creating sustainable change in their communities through work and the gospel. 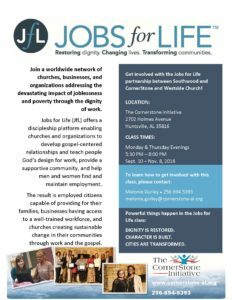 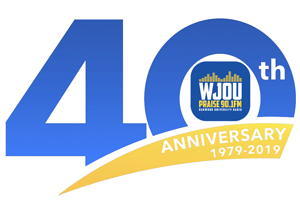 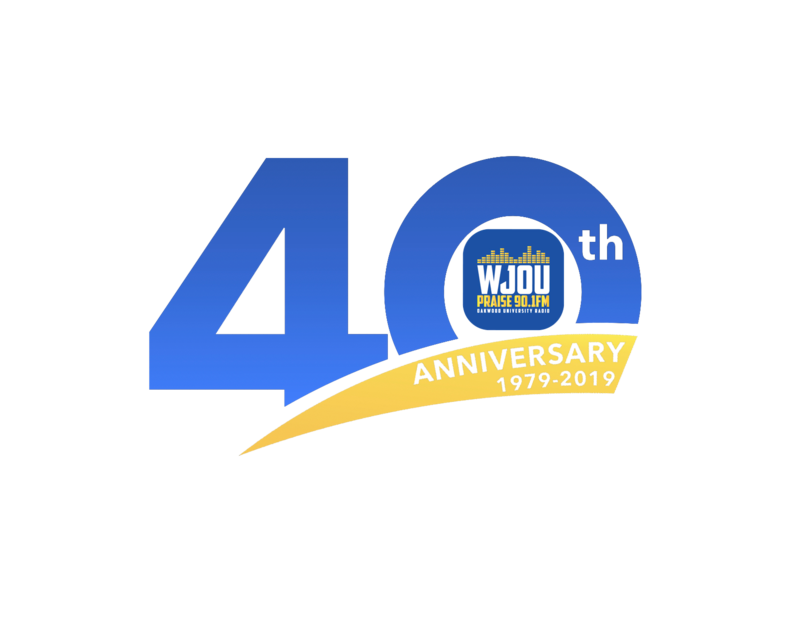 Get involved with the Jobs for Life partnership between Southwood and CornerStone and Westside Church!